No Adjuster On The Belly Strap!! 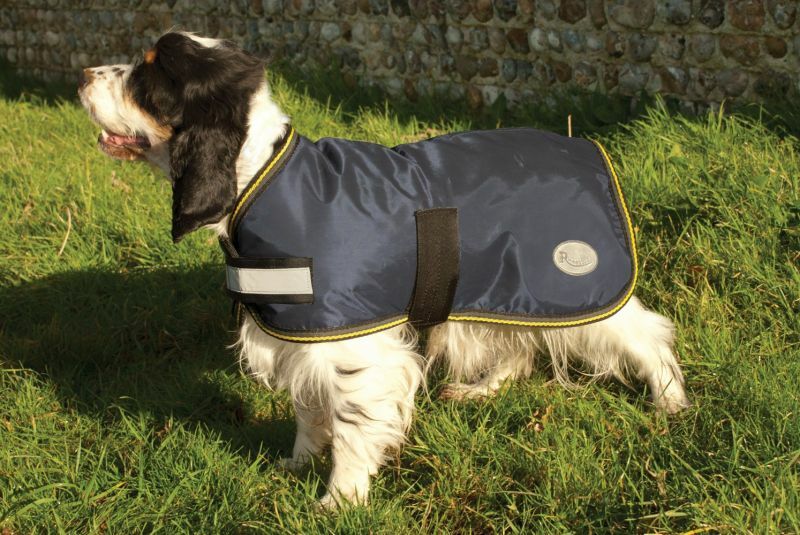 Waterproof dog coat with Velcro across chest and belly strap. Breathable nylon lining for extra warmth and comfort. Reflective strap for extra visibility. Elasticated leg straps for secure fit.